Piermonde Apartments encompasses contemporary, two and three bedroom fully self-contained apartments. Relax in the hotels outdoor swimming pool and spa – soak up the sun and take advantage of the hotels BBQ area and tour booking service. Explore the regions famous reef and rainforests. All local attractions are right at your fingertips – harbor foreshore, marina, casino, restaurants and bars. 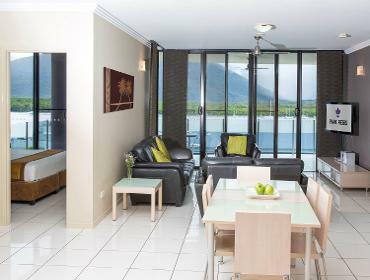 Immerse yourself in everything Cairns has to offer. Don’t miss Cairns’ latest attraction, the Cairns Aquarium.